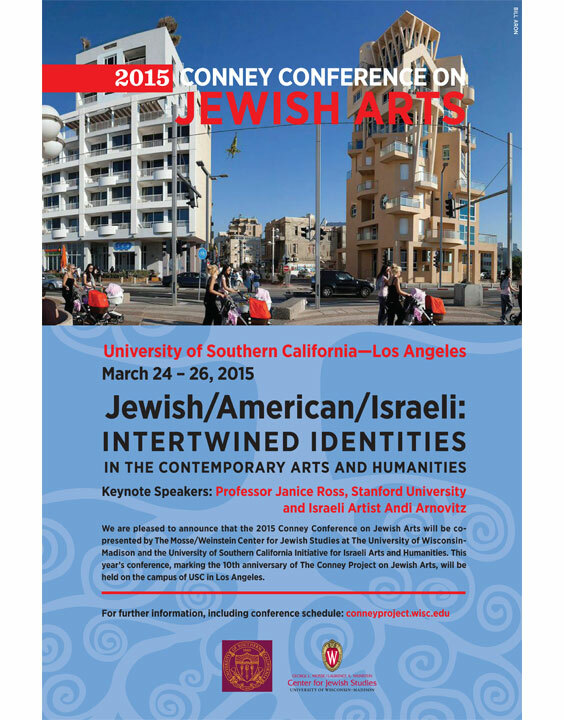 Tuesday, March 24th began the 2015 Conney Conference on Jewish Arts, this year in Los Angeles. Starting with a reception in the evening of Monday the 23rd events run through Thursday, March 26th. The Conference is co-sponsored by the USC Initiative for Israeli Arts and Humanities and University of Wisconsin’s Mosse/Weinstein Center for Jewish Studies. Andi Arnovitz, Helene Aylon, Dvora Liss, Doni Silver Simons, Ken Goldman, Ben Schachter, Elke Sudin, Saul Sudin, Ruth Weisberg.